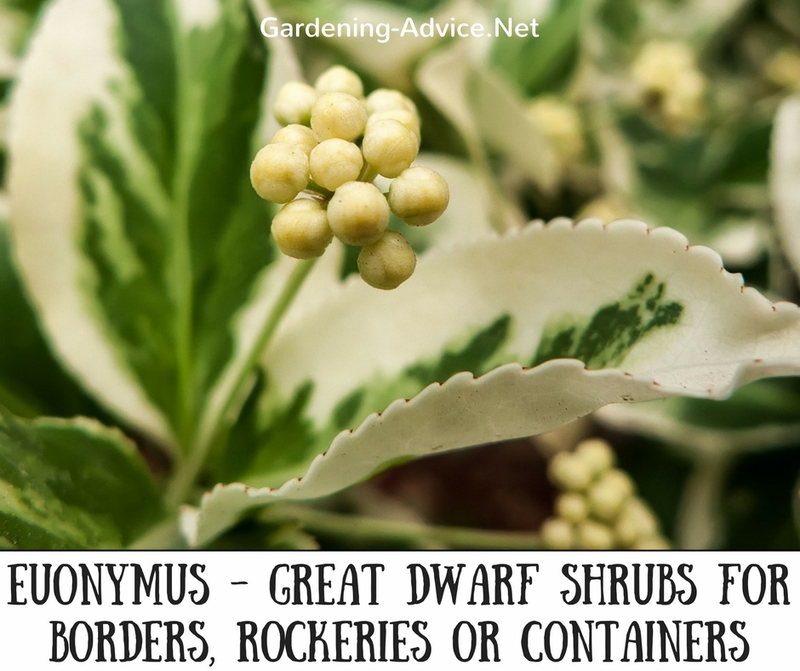 Dwarf Evergreen Shrubs can't be missed in a garden. This list of small evergreen shrubs will help you choose a suitable evergreen bush for your garden beds. 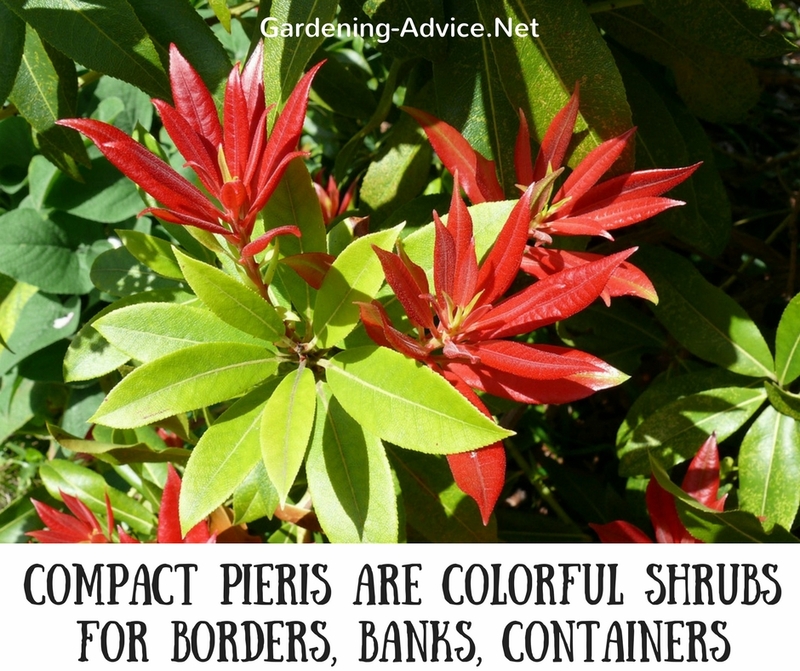 These low growing shrubs will add color all year round. Dwarf evergreen shrubs serve multiple purposes in a garden. They add all year round color, interest, and structure to rockeries, flower beds, and borders. Most low growing shrubs provide excellent all year round ground-cover and help to keep weeds down. They can also be used for under-planting tall trees. This list of dwarf evergreen shrubs will help you choose suitable shrubs for your needs in the garden. Euonymus fortunei varieties are great dwarf shrubs for borders, beds, rock gardens or containers. Most popular varieties are Euonymus 'Emerald 'n' Gold' with golden variegated foliage or 'Emerald Gaiety' with variegated green foliage. They grow approximately 1 foot high and can spread up to 3 feet wide which makes them a great ground-cover plant. They require little care and are very adaptable. 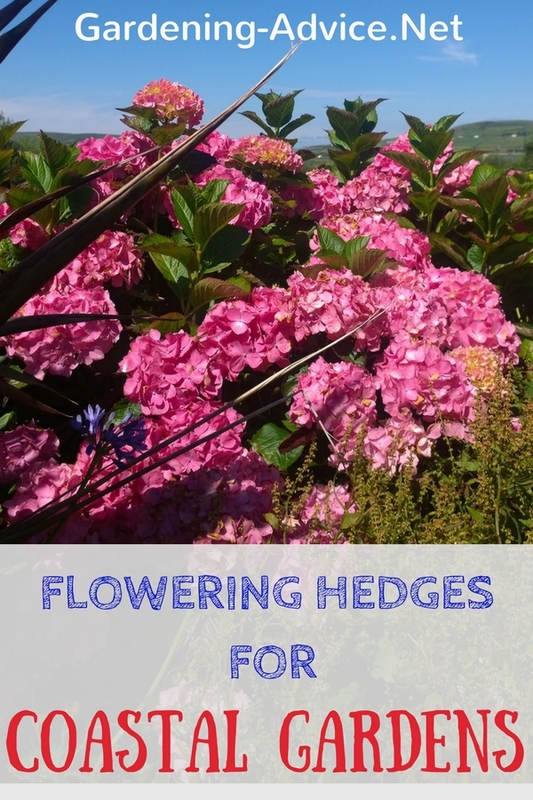 You can grow them in full sun to part-shade in moist well-drained soils. Euonymus shrubs are good seaside plants and are able to tolerate wind and salt spray if slightly sheltered. The Lavender Bush - Fragrant, Flowers And Is Evergreen! 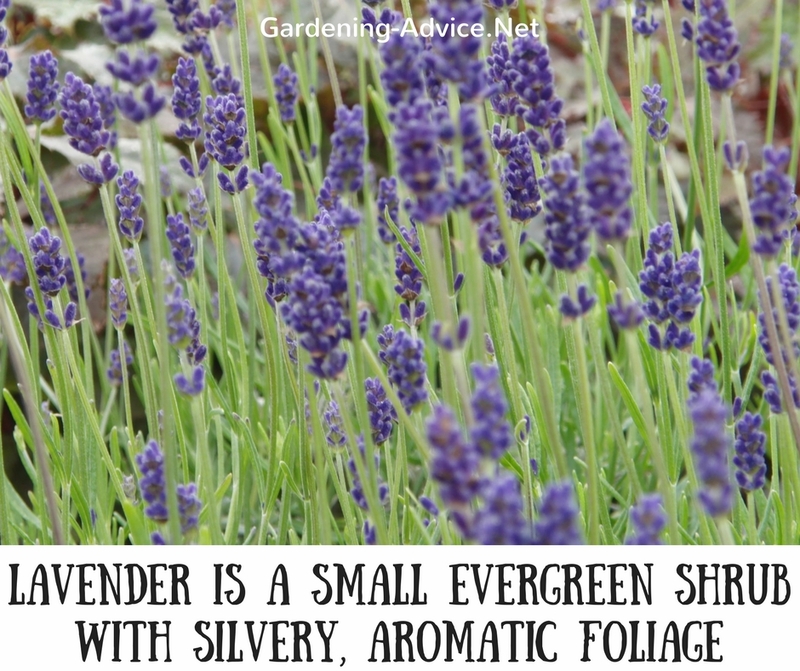 Lavender plants are wonderful small evergreen shrubs with silvery, aromatic foliage. 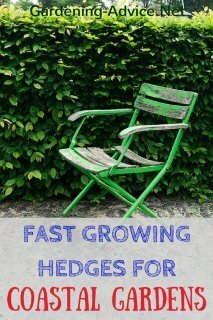 You can use them for flower beds, rock gardens, and mixed borders. Lavenders are also great container plants. Most important for growing lavender plants is good drainage. This Mediterranean plant hates wet feet! French, English or Dutch Lavenders are equally good and produce lovely purple or blue flowers during the summer. To keep your bush compact and neat you should be pruning lavender after the flowers have finished. Cut back about half of the shoots and remember to never prune them back into the old wood at the base. They will not recover from that. A lavender bush is a good choice for a seaside garden if given a sheltered spot. 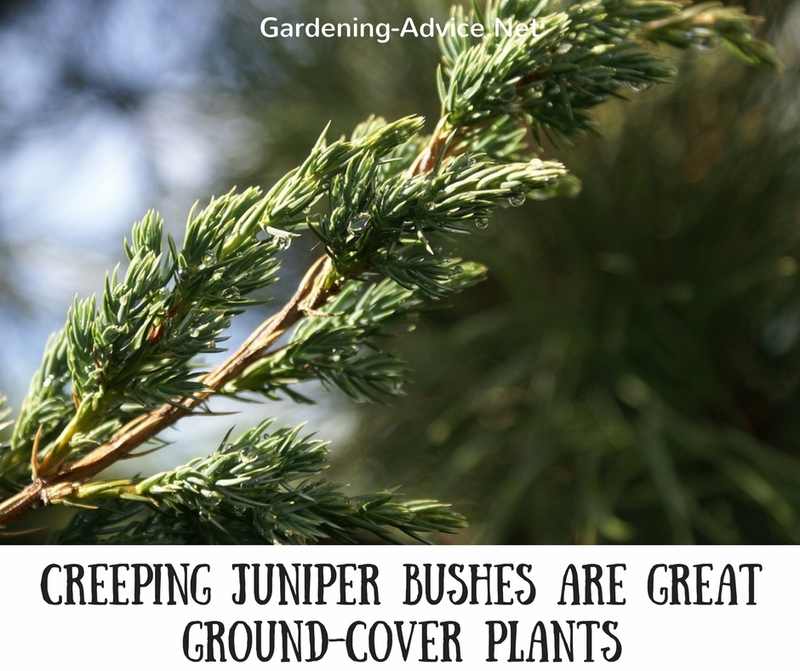 There are many, many different types of this popular evergreen ground-cover shrub. Some of them grow quite large but you can get varieties like Cotoneaster 'Coral Beauty' that grow only about 2 feet high. 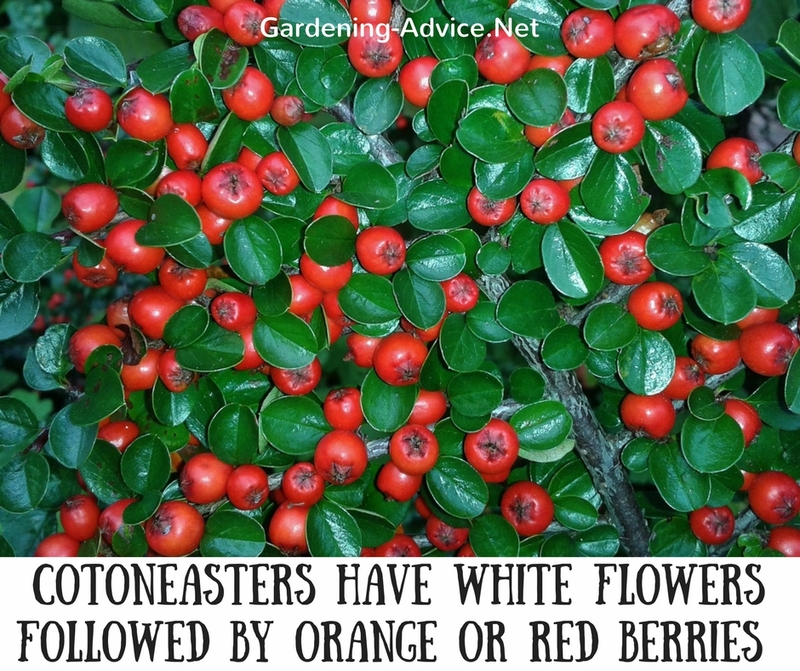 All Cotoneasters have white flowers that attract a lot of bees. They are followed by orange or red berries that are very attractive. Bearberry cotoneaster grows easily in a wide range of soils and are suitable for banks, slopes, in combination with rocks or in beds. Cotoneasters are good plants for coastal gardens. Most Hebes are compact, rounded low growing shrubs. Popular Hebe varieties are Hebe buxifoilia, Hebe 'Sutherlandii', Hebe 'Red Edge' or Hebe rakaiensis. There are many more varieties so have a look what is available. 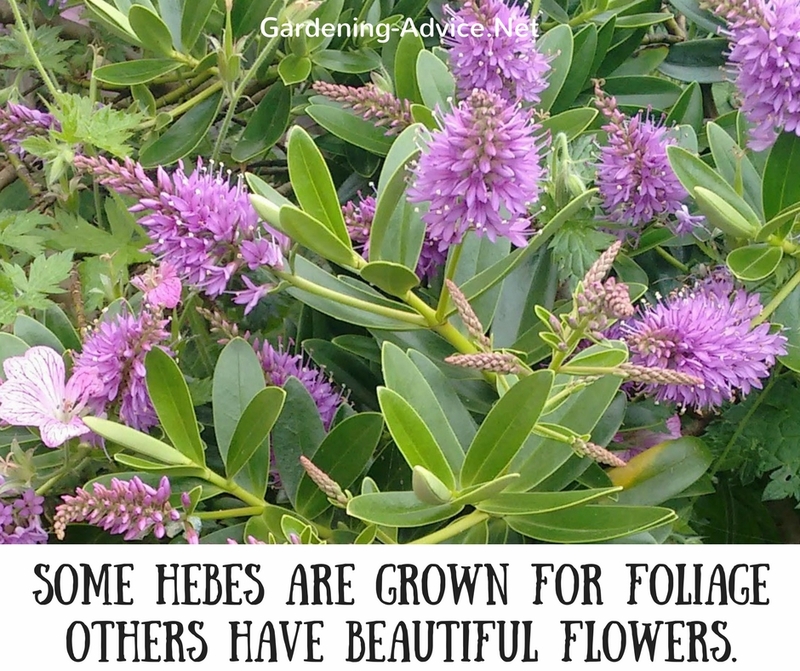 Some Hebes are grown more for their foliage whereas some varieties also have very attractive flowers. Colors range from white, pink to purple. These valuable garden shrubs grow easily on most soils and conditions and require little care. Pruning is usually not necessary. A great plant for seaside gardens particularly the varieties with silvery leaves or leathery leaves. 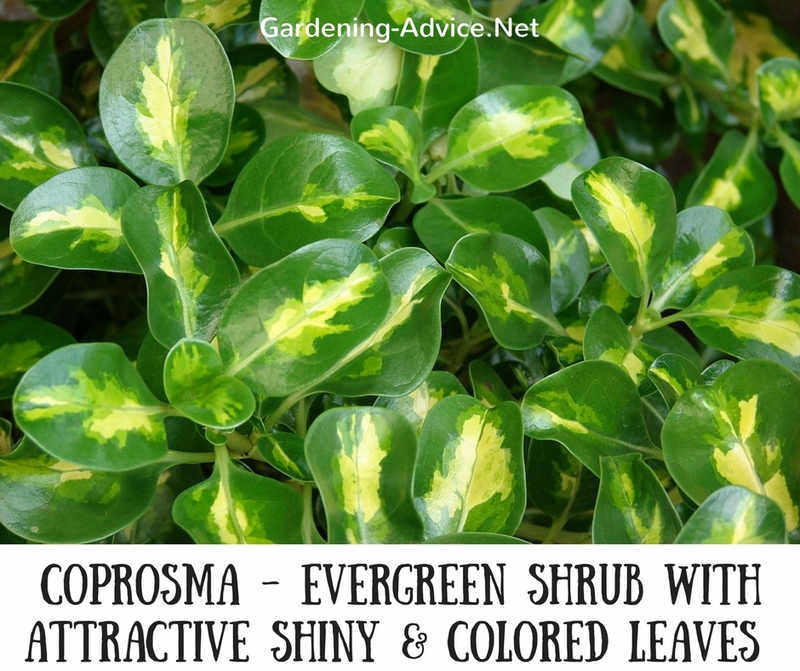 These types of evergreen shrubs have shiny, colored leaves and grow approx. 3 feet high. The attractive foliage makes Coprosma a valuable evergreen plant. The Mirror Plant has to be protected from frost but grows well in coastal areas. They are suitable for mixed borders or larger containers. A moist but well-drained soil in sun to part shade suits Coprosma best. Popular compact varieties are Coprosma 'Evening Glow' or Coprosma 'Karo Red'. The Dwarf Pittosporum tenuifolium 'Tom Thumb' is a pretty small evergreen shrub. The dark green leaves in the spring turn a dark purple color later on. 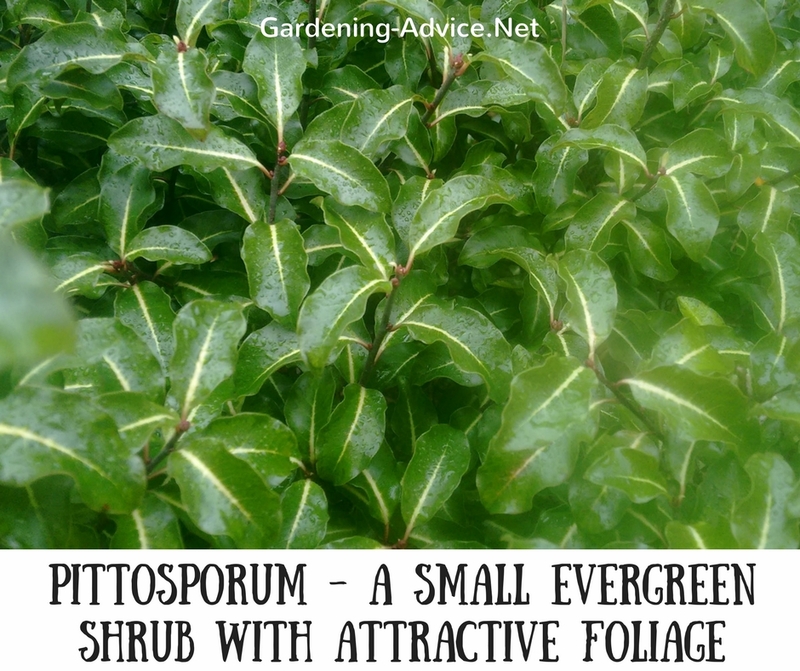 The Pittosporum plant is frost tender so plant it only in sheltered positions. They grow well in any well-drained soil in part-shade or sun. In an exposed garden you have to protect this shrub from too much wind. Pittosporum tobira 'Nana' is suited better to a windy garden. This compact, rounded shrub has green foliage and scented white flowers. Juniperus communis 'Repanda' with dark green foliage. These junipers can spread to about 8 feet in width! They form a dense carpet and are ideal for gravel beds, banks, and large rock gardens. Juniperus squamata 'Blue Star' has grey-green foliage and a compact habit. This Juniper bush spreads approx. 3 feet across. Both types are great seaside plants and tolerate exposure to salt spray and wind. 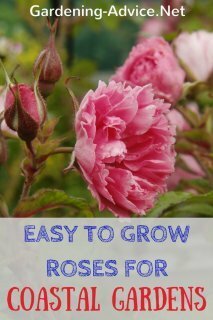 Grow them in any well-drained soil in sun or part-shade. Berberis buxifolia 'Nana': this rounded, compact shrub has dark green leaves with grey undersides. Orange-yellow flowers appear in the spring followed by dark blue berries. The Barberry shrub grows best in well-drained soils and is drought-tolerant. Plant them in a sunny position for best results. 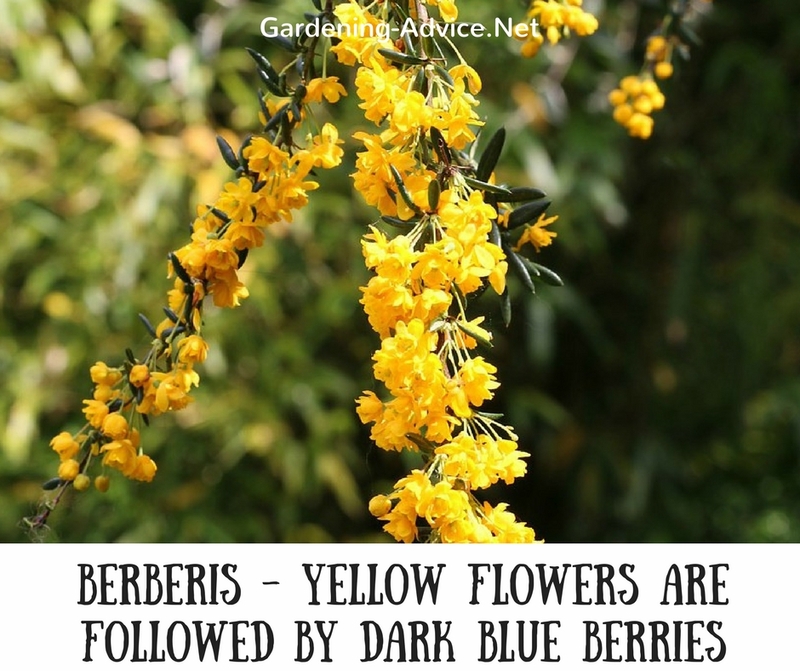 Berberis shrubs are well suited for coastal climates. 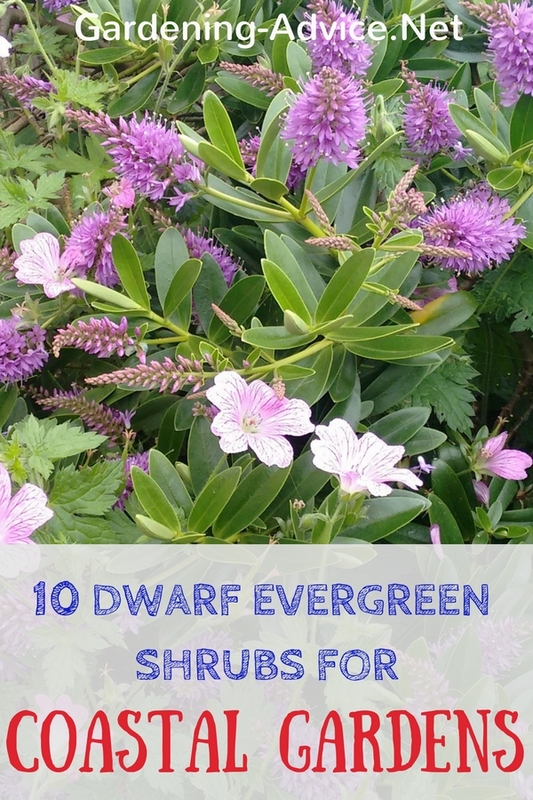 These dwarf evergreen shrubs grow approx. 2 feet high. Compact Pieris japonica varieties are colorful shrubs for borders, banks, containers or woodland gardens. Their new leaves in the spring are either red or pink. After a few weeks, those leaves turn green. Some varieties have variegated foliage. well-drained for growing Pieris is a moist but well-drained acid soil. Most Pieris japonica types have drooping white flowers. 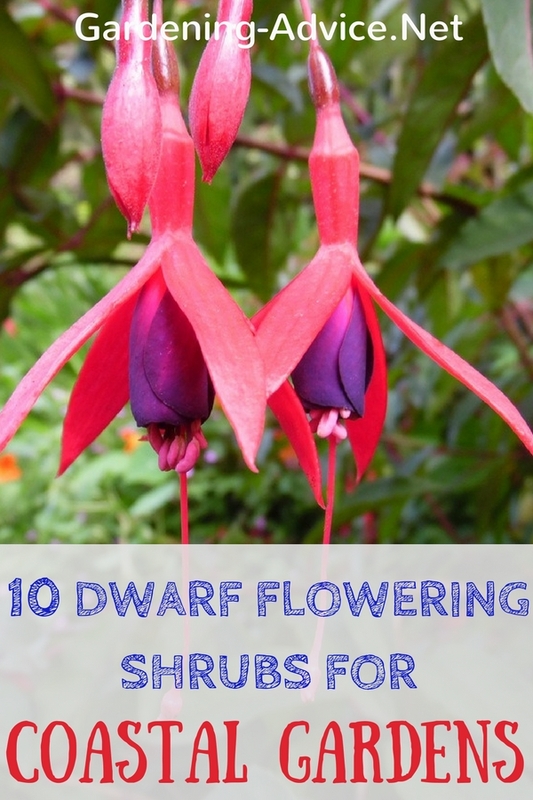 Newer varieties have showy red or pink flowers. These dwarf evergreen shrubs are good plants for coastal gardens. The following Japanese Pieris varieties don't grow higher than 2 feet: 'Bonfire', 'Wakehurst', 'Little Heath', 'Flaming Silver', 'Prelude', 'Ralto', 'Variegata'. 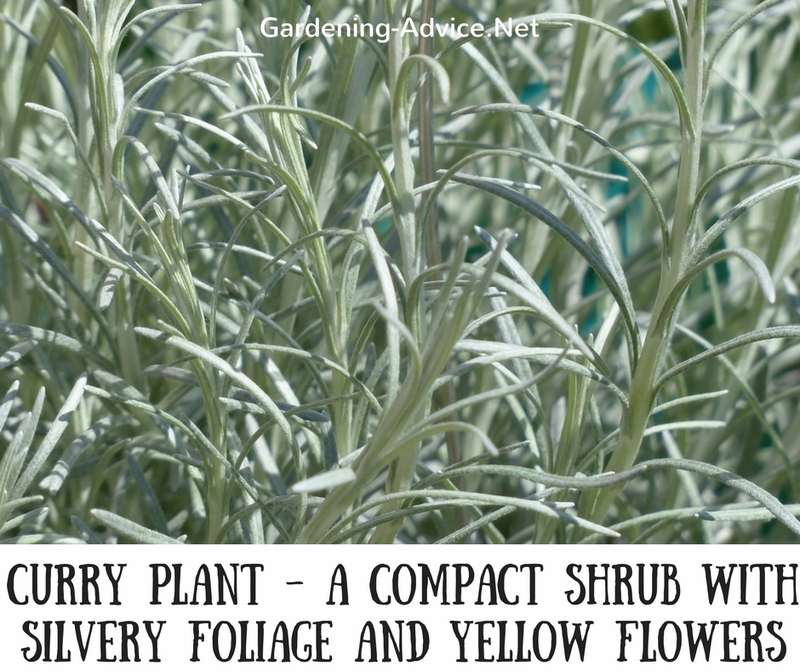 The Curry Plant is a compact shrub with silvery-grey foliage and clusters of yellow flowers during the summer. The foliage is very aromatic with an intense smell of curry that is particularly strong when it is raining. The Curry plant is great for rock and gravel gardens. This Mediterranian plant likes a sunny spot with well-drained soil. The soil can be poor or only moderately fertile for this plant. This is also a good plant for seaside gardens.